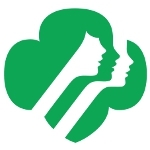 Girl Scout Leader's Day, also known as Girl Scout Leader Appreciation Day, is an annual celebration held on April 22. It honors all Girl Scout volunteers who work as leaders and mentors. Girl Scout leaders are adult volunteers in Girl Scouting who serve as guides and mentors. They help girls develop skills and confidence, introduce them to new experiences that show Girl Scouts what they are capable of. Volunteers make an exceptional contribution to the development of the Girl Scout movement, serving as role models. Although the effort put forward by volunteers is always appreciated, a special day has been set aside to publicly acknowledge that Girls Scout leaders play a very important role in the organization. Girl Scouts even have special awards for adult volunteers such as Outstanding Volunteer, Outstanding Leader, Appreciation Pin, Honor Pin, and Thanks Badge. Girl Scout Leader's Day is a perfect opportunity for girls, their families and communities to recognize their adult volunteers and thank them for everything they've done. As volunteers, leaders do not seek any special rewards or recognition, but it doesn't mean that they don't want to be thanked. They surely deserve kind words and signs of appreciation.